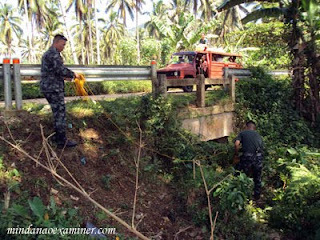 Government soldiers foil the bombing of a bridge in Sulu's Indanan town after they recovered two homemade explosives planted by suspected Abu Sayyaf militants who are also blamed for the bombing of two communication relay towers of Smart Communications and Globe Telecom in the province. 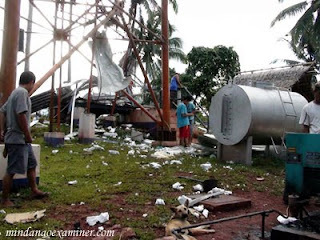 (Mindanao Examiner Photo / Nickee Butlangan). 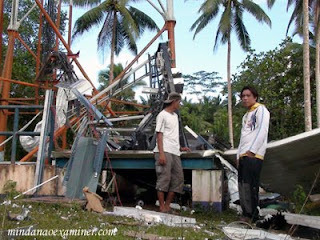 ZAMBOANGA CITY, Philippines (Mindanao Examiner / October 20, 2009) – Troops foiled the bombing of another bridge in the Muslim autonomous province of Sulu in the southern Philippines, but rebels also blasted a communication relay tower and cutting off vital mobile phone services in the area, officials said. 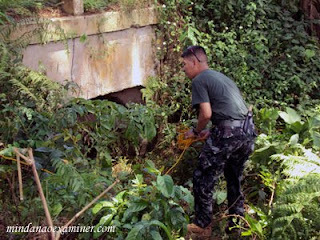 Officials said patrolling troops recovered before dawn two improvised explosives planted under a bridge in the town of Indanan, where Abu Sayyaf militants recently bombed another bridge. Regional military spokesman Marine Major Ramon David Hontiveros said the bombs were made from ammonium nitrate, a banned chemical fertilizer widely used by terrorists in manufacturing homemade explosives. 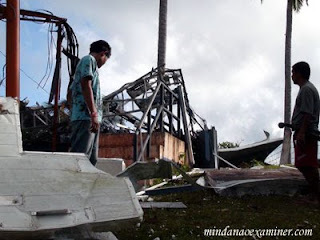 No group has claimed responsibility for the attack, but the military previously tagged the Abu Sayyaf and Moro National Liberation Front rebels in the spate of bombings and ambuscades of soldiers in Sulu. The military said dozens of rebels and soldiers, including two US Special Forces specialists, had been killed in fierce clashes in Sulu since September. 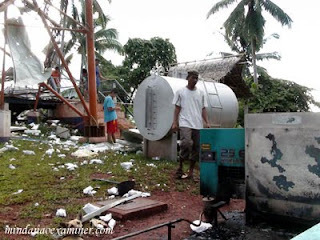 Fighting in Sulu erupted between rebels and soldiers after the military mounted fresh offensives against the Abu Sayyaf and Moro rebels in Indanan town. The offensive coincided with the Muslim celebration of the Eid al Fit’r, which started on the day after Islam’s holiest month of Ramadan. 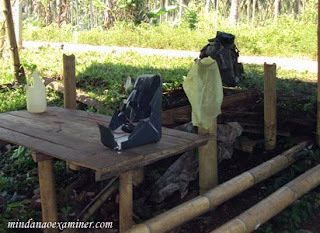 The MNLF has declared a holy war or jihad against the military for disrespecting the Muslims. Different Muslim groups also condemned the attack during the Eid celebration. 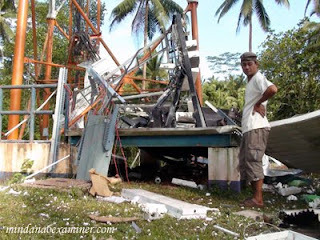 Early this month, rebel forces also attacked a major military base in the capital town of Sulu. 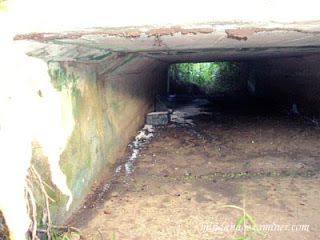 It was the second time in eight years that rebels attacked the base.